Difference between the words "Shahid" and "Shaheed"
Muslim Villa > Forum > Category 6 > VARIOUS ISLAMIC ISSUES > Religious - > Difference between the words "Shahid" and "Shaheed"
The word 'shuhada' is the plural of shaheed or shahid; and the term 'shahadat' is one who acquires martyrdom. 'Shahid' or 'shaheed' frequently occurs in verses of the Noble Quran in the generic sense, 'witness.' In Verse 3:169 it refers to martyrs; and Verse 22:58 conceptualizes martyrdom and Paradise for martyrs. "And never think of those who have been killed in the cause of Allah as dead. Rather, they are alive with their Lord, receiving provision," (3:169). "And those who emigrated for the cause of Allah and then were killed or died - Allah will surely provide for them a good provision. 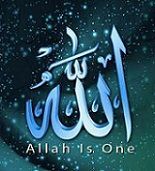 And indeed, it is Allah who is the best of providers." (22:58). Loyalty to God Almighty and love for Him are embedded within the submitter's heart. They will never dither to sacrifice their lives for His sake, and by doing so, they bear witness of their resolute Faith in The Almighty. The term "shaheed" or martyr is nowadays used randomly by Muslims for anyone who dies unexpectedly or tragically. The title of martyrdom has become a symbol of emotion, love and care for the deceased person whom a society or community likes and respects. It symbolizes their request or prayers to Allah to grant the status of martyrdom to the deceased person. But in reality, who might be elevated to the status of a martyr or not is only known to Allah as HE alone is the Sole Authority to judge and decide. Thus, is it inappropriate for humans to indiscriminately assign martyrdom to their deceased fellow human beings? The answer is yes, it is inappropriate. Except for certain events such as the ghazwas and in the field of Karbala where family and friends of the Prophet (pbuh) fell, to whom one can safely assign martyrdom, as for the rest only Allah knows best. Re: Difference between the words "Shahid" and "Shaheed"
Very interesting and informative. Many thanks sis. JazekAllah khair. Thank you sister Heba for clarifying a very relevant aspect. Moreover, this habit of randomly labeling any one who passes away as "shaheed" is something I have a problem with.